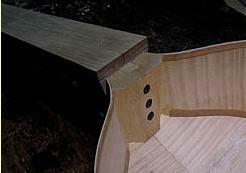 there is no upper block so the neck is glued directly to the ribs . 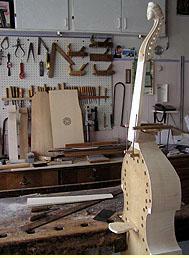 The upper block of spruce is jointed with 3 forged nails to the neck tenon , a technique used by English makers . Tops are made from naturally seasoned spruce ( picea abies H. Karsten) from Italian Alps which is reach of overtones, backs, ribs and necks are from Balcan flamed maple ( acer pseudoplatanus). 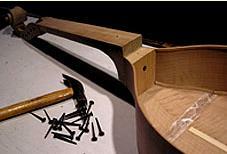 None of my instruments will be made from German spruce which is heavier and more sandy and not rich of upper harmonics. 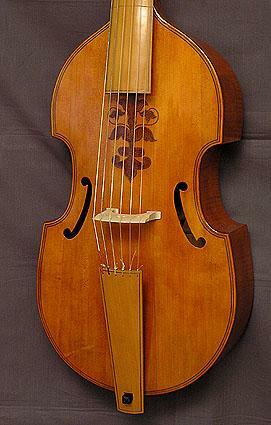 Fingerboard and tailpiece veneering is for baroque instruments from ebony (diospyros ebenum) as well as pegs; for renaissance instruments is this replaced by boxwood ( buxus sempervirens). 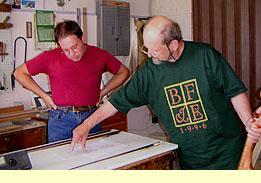 For medieval and renaissance bows European hophornbeam is used (Ostrya carpinifolia Scop.). 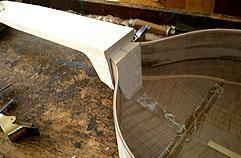 Carvings are made on request from the customer. 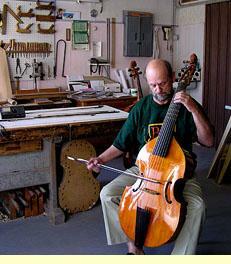 English viols have usually geometrical purfling decorations and double purfling on top and back side. 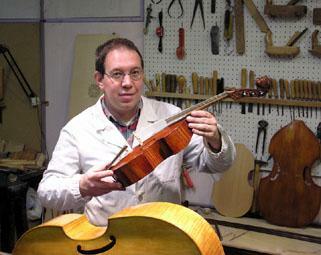 are individually constructed to the exact size of the instrument. 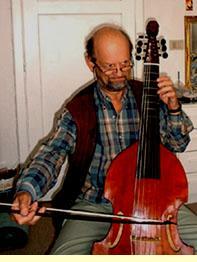 are recommended for a 7-string bass viol because they are quite light. 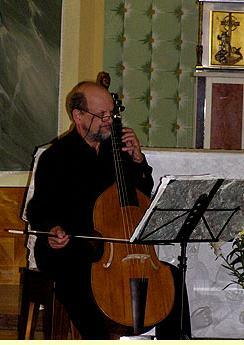 has an interesting light weight cello case (4 kg) and some soft cases. Would you like to have some more information or a price list? Send me an e-mail in English, Italian , Dutch or Japanese or submit the request information form.